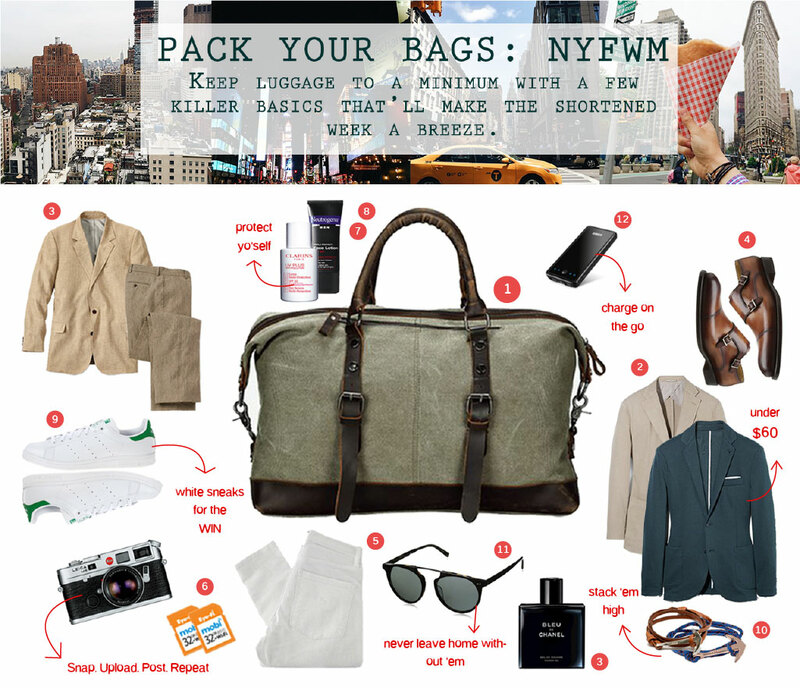 The inaugural New York Fashion Week Mens (#NYFWM) is finally upon us, and today’s post is an all inclusive guide on what to pack, where to eat, and the hottest spots to grab that Instaworthy cup-of-joe. 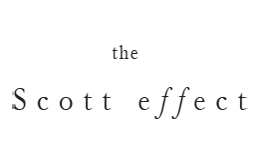 I’ve teamed up with Amazon Fashion as a social corespondent for the week where I will be posting live from the runways, events, after parties, and so forth. They’ve curated a hub for NYFWM where you can shop your favorite pieces as well as highlighted items for the week. It’s basically your one-stop-shop where you can find anything you need from the perfect linen suit, to a portable iPhone battery charger. Make sure to check it out all the selects here! As the primary sponsor for the event, they are granting me access to bring you along as if you were here beside me. Gear up as I bring you guys along for all the BTS fun, so make sure you’re staying updated through all of my social channels, and staying connected with all of the relevant handles and hashtags for the week: @amazonfashion #NYFWM #amazonfashion. Now Gents, pack your bags, we’re headed to N Y C! 1. Leather Canvas Duffle Tote : Perfect size for carrying all of your essentials- Love the color too. 3. Linen Suit : Beat the humidity in a versatile linen suit. Day 1: Full suit; Day 2: Pants, tee, sneaks; Day 3: Blazer, light denim, monks. 4. Double Monks : Transitional shoe that takes you from day to night. 5. White Denim: Mix and match with your blazers for day, and then again for a walk through Central Park. 7. Clarins SPF : My favorite SPF moisturizer. Definite must have. Don’t go a day without applying this bad boy! 8. Neutrogena SPF : A great alternative if you’re on a budget. 9. Adidas Sneakers : Pair with some tailored trousers for the shows, and stomp NYC lookin’ fresh and clean. 10. Brown Leather Anchor Bracelet // Blue Rope Bracelet : Bracelets just complete any outfit. Take 2 options that’ll match your daily looks. Keep it simple and to the point- plus, you can’t go wrong with Miansai. 11. Round Black Sunglasses : NO questions here.. Sunglasses are by far my favorite accessory. I’ve been loving this round frame lately! 12. Phone Charger : Never miss a minute cause your phone died. Store this charger in your murse, or carryall..
*Shop additional pieces directly from the Amazon Fashion #NYFWM hub HERE. 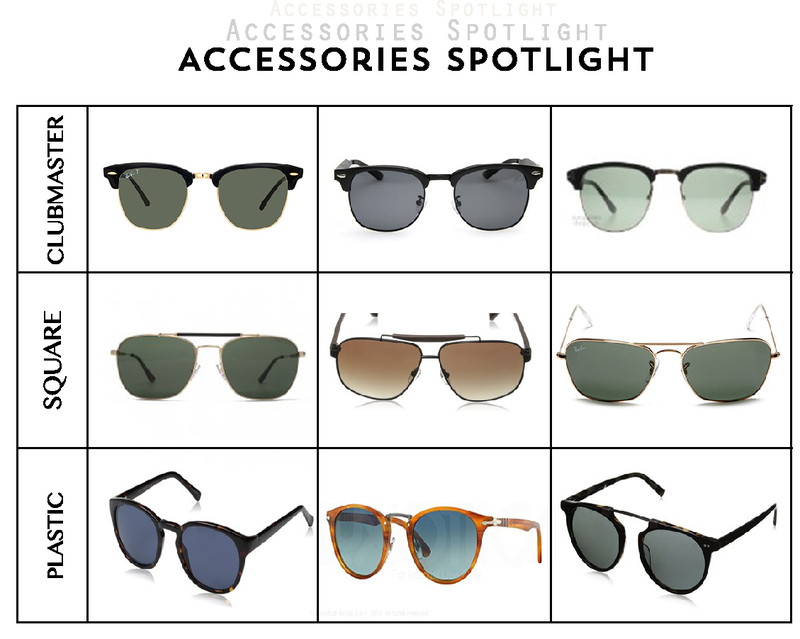 Different strokes for different folks #amirite.. Today’s accessory spotlight is all about sunnies. Whether your a Clubmaster, Square, or Plastic frame typa guy, I have you covered with my current favorites at any price point! Deciding on where to eat or grab that espresso? 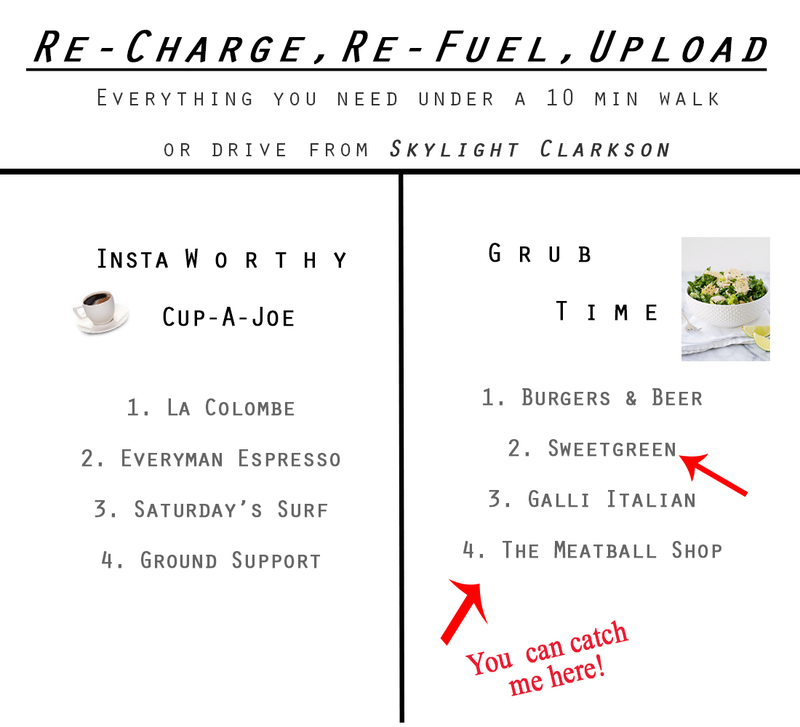 Look no further, Ash and I did all the searching and found the best eateries and cafe’s less then 10 minutes from Skylight Clarkson. Grab that pen and pad, and start taking notes! Heading to after festivity events? Plan the night before or update your schedule accordingly to make the most of your time. No time to discuss who’s turn it is to pay the taxi? Split the fare with your boys and hop on an Uber. NO fuss, No problem. # Make sure your using proper hashtags to stay connected #NYFWM #AmazonFashion @amazonfashion. Don’t be afraid to say Hi to people you’ve never met. This is an opportune time to expand your network and connect with your peers all over the globe. Take advantage by mingling, and socializing at events. Thank you to Amazon Fashion for sponsoring this post. Ha, really enjoyed this. I’m just getting into learning about Amazon Fashion and I’m already a fan of it. Enjoy NYC!